Sift the flour into a bowl or in a food processor. Add sugar, egg and oil. Mix very well using a large spoon or on high speed in food processor until crumb state. Knead the dough by hand on a dry, clean surface. Knead quickly, the dough does not become warm. Form the dough into a ball, wrap in cling film and put in fridge for an hour. Preheat the oven to 180 ° C. take the dough out of the fridge, unwrap, knead the dough on a floured surface for several minutes. Roll out the dough to a thickness of 3 mm. Cover the baking tray with baking paper. 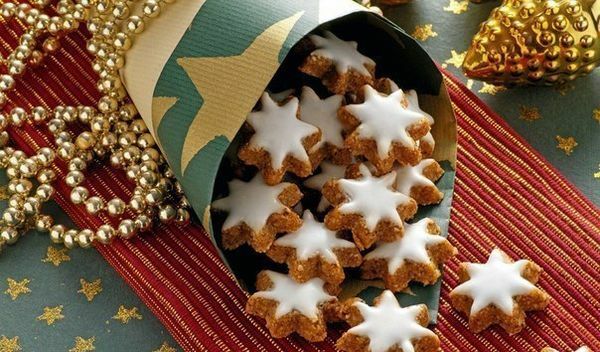 Cut out biscuits using a form. Put biscuits on the prepared baking sheet. Leave on for 15 minutes, then bake the biscuits for 10-15 minutes, until Golden brown. Allow to cool on the rack and decorate.